Will YouTube’s paid subscription music service take off? 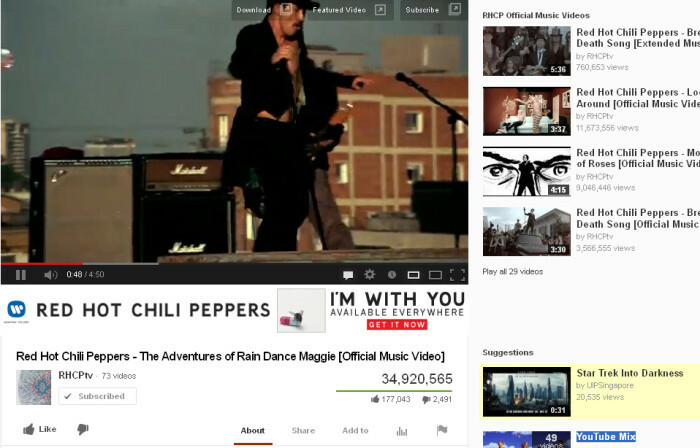 YouTube is making its move into subscription-based music. The service is expected to launch later in the summer and offers fans ad-free music for a paid subscription. “We’re adding subscription-based features for music on YouTube with this in mind – to bring our music partners new revenue streams in addition to the hundreds of millions of dollars YouTube already generates for them each year,” she said. She did not comment further on its plans for monetizing and marketing the new service. According to Reuters, nearly 95% of music labels have signed on the deal and blocking some music labels’ videos from the free website might just be what is needed for the paid service to have a consistent feel for the users. However, this has resulted in the site currently in the midst of pulling down some of its biggest Indie labels and these might include popular artists such as Adele, Arctic Monkeys and Vampire Weekend, said Billboard.com. This bears striking similarities to services offered by the likes of Spotify, Deezer, Beats Music and more. The move has since sparked much heated debate on social media – for example, this heated discussion on Reddit. Media giant TV5’s early leap into multiscreen entertainment is already paying off via Ace Saatchi & Saatchi and Unitel Entertainme..
Danone Dumex has stuck a collaboration with Yahoo! Malaysia to launch Parenting World, a site targeted to the growing segment of p..
Carlsberg has announce its intentions to focus on measuring and improving its social media content, opting out of TV advertisement..
Dorsett launched a customisable service of three self-picked wishes, aimed to provide a tailored stay experience for their guests ..